I get so excited about trying a new cookie design. I had red & white royal icing prepared, so I opened a container of cookies I had baked and saved. I could see a chimney shape to the stacked cake cookie, so I grabbed a few to decorate. Pipe horizontal lines and then vertical lines for the bricks. Sprinkle with sanding sugar. Fill the bricks with red royal icing and sprinkle with red sanding sugar. Top the chimney with white icing for snow. 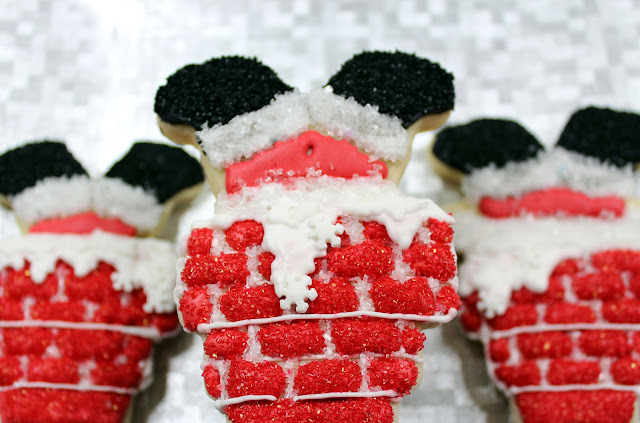 Santa's legs are the legs of a gingerbread man cookie cutter. I cut at a variety of lengths to include just Santa's legs/boots and some with the bottom of Santa's coat. Pipe red legs. 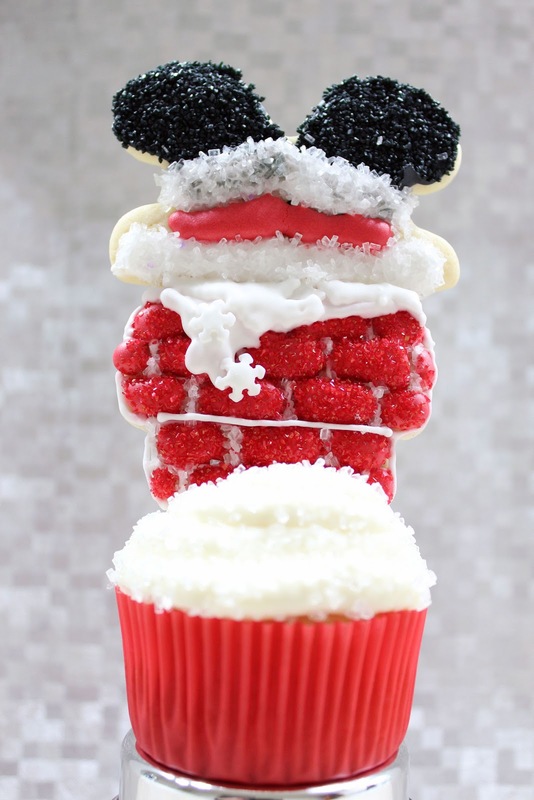 For the larger base cookies, add white trim to the bottom of Santa's coat. Then attach Santa's legs to the chimney. You'll notice I left the bottom of the chimney unfinished because I inserted the cookie into a cupcake as a fun Christmas cupcake topper. Now that is a treat for Santa!